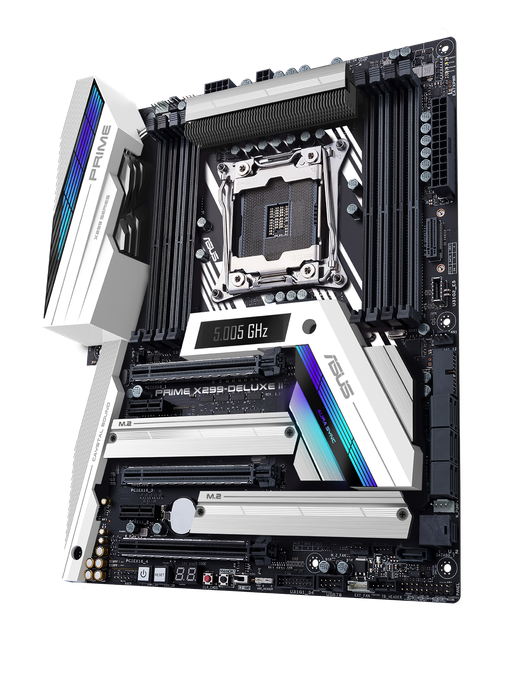 ASUS has updated its Core X-Series processors with the ASUS Prime X299-Deluxe II and ASUS ROG Dominus Extreme. 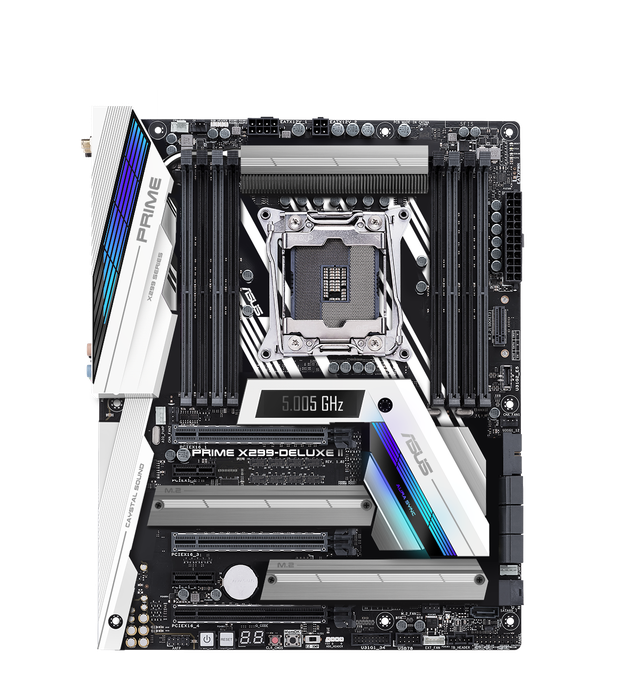 The Prime X299-Deluxe II provides support for four-core Kaby Lake-X CPUs to focus on providing the best experience for chips with higher core counts and more connectivity. With up to 18 cores, four memory channels, and 44 PCIe lanes, these processors demand a lot more power than typical desktop CPUs. The Prime X299-Deluxe II integrates Thunderbolt 3 with up to 40Gbps of aggregate interface bandwidth. The rear I/O panel has dual Type-C Thunderbolt ports that support data in addition to DisplayPort 1.4 output. The Prime X299-Deluxe II features 5G Ethernet from Aquantia that offers five times the throughput of traditional Gigabit Ethernet, which is also available via a secondary LAN port. Intel provides the gigabit-class integrated 2x2 802.11ac wireless card and Bluetooth 5 is part of the package, extending wireless support to peripherals. The centre of the board features a 2” LiveDash OLED that shows vital system stats like clock speeds, temperatures, and voltages. For a more personalised touch, users can add text and custom images, including animated GIFs. 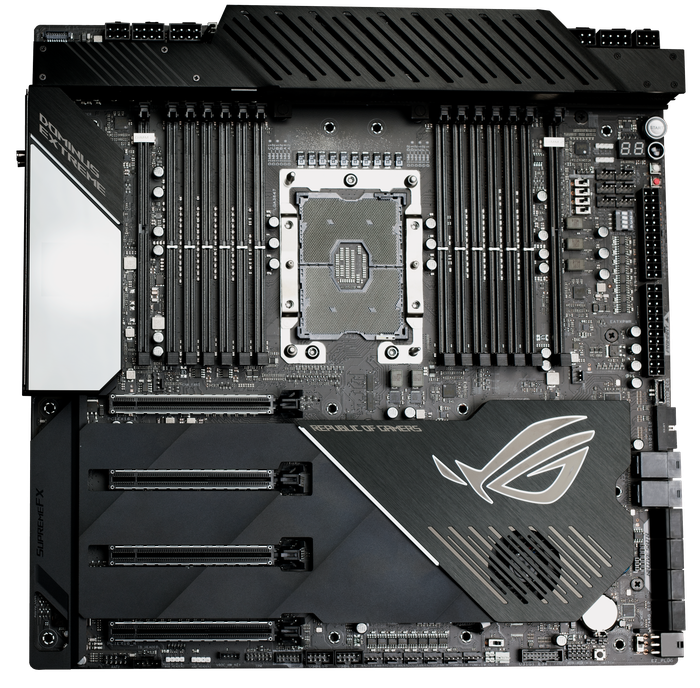 The ROG Dominus Extreme was designed around the Skylake-X based chip with 28 cores. 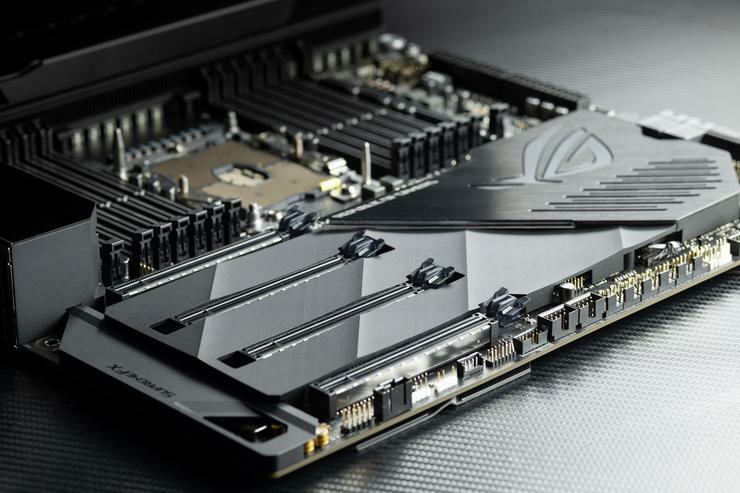 The socket of the ROG Dominus Extreme is flanked by a dozen DDR4 DIMM slots with support for up to 192GB of RAM, and the memory is bookended by dual DIMM.2 modules with room for four NVMe SSDs between them. Dual U.2 ports provide connectivity for additional NVMe drives, while four PCIe x16 slots line up for a stack of graphics cards. To bypass bottlenecks, that’s all connected directly to the CPU, according to ASUS. Users can connect two PSUs to the ROG Dominus Extreme. Among the nine EATX power connectors, six are devoted exclusively to 12V power. Four fans are hidden inside and only spin up when thermals demand it. The rest of the onboard cooling is tailored for custom liquid loops, starting with headers that support temperature sensing, flow monitoring, and leak detection for compatible CPU blocks. The ROG Dominus Extreme has support for wicked-fast 10G wired networking, and features gigabit-class Wi-Fi and ROG’s latest SupremeFX audio.